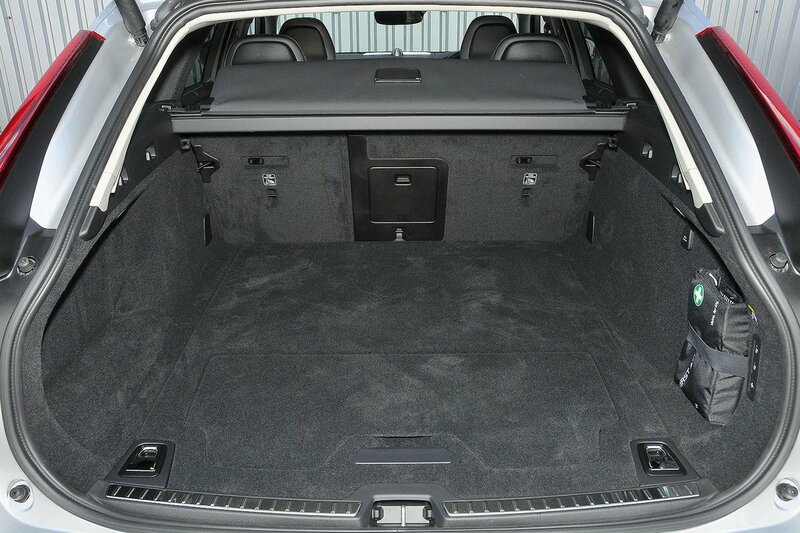 Volvo V90 Cross Country Boot Space, Size, Seats | What Car? 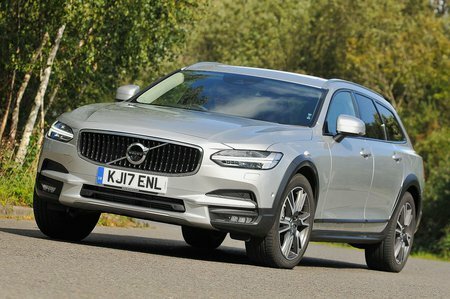 The Volvo V90 is superb at accommodating four adults and the Cross Country’s makeover changes nothing in that respect. Those in the front get loads of head and leg room and, even residing behind a couple of giants at the front, you’d have to be freakishly tall to feel cramped in the back. That’s if there are two rear passengers – because it's more of a squeeze with a fifth adult on board, but still perfectly doable for a reasonable distance. Things aren’t quite so good at the business end, though. Although the Cross Country's 560-litre boot is big enough for a couple of large suitcases, it’s not quite as big as the A6 Allroad’s and a fair amount smaller than the E-Class All-Terrain’s. 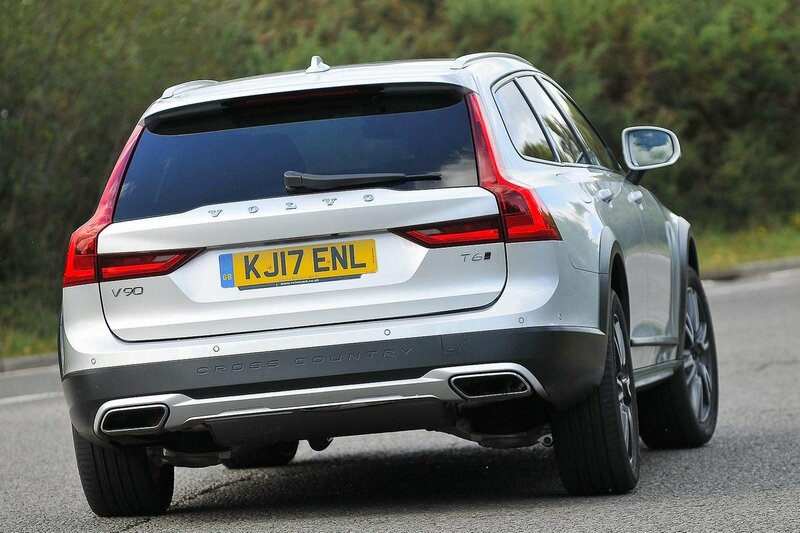 That’s the compromise of a shallower boot depth and that stylish but less practical raked roofline. The rear seats split 60/40 (rivals tend to offer a more flexible 40/20/40 split) and fold completely flat at the touch of a button, located just inside the boot entrance. With the seats down, load capacity grows to 1526 litres – that should see you right for those trips to B&Q – and with a low load height and no internal lip, lifting heavy bags in and out is a breeze. The standard electric tailgate is also a nice touch.